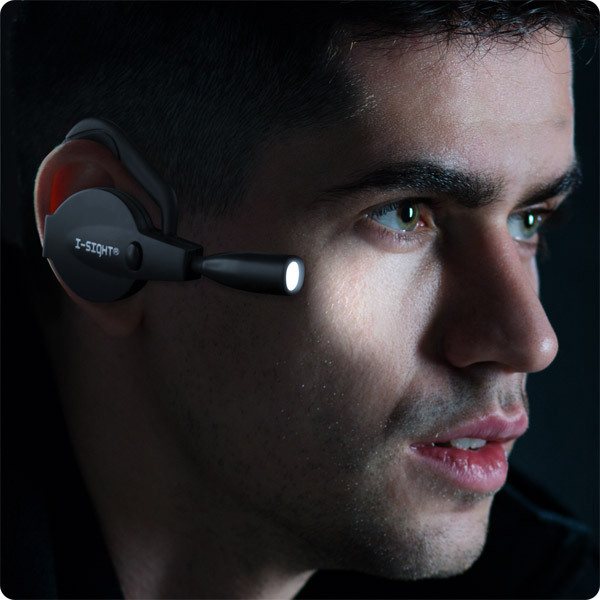 Ear-Mounted, super-bright LED personal illuminator - weighs just 18 grams! 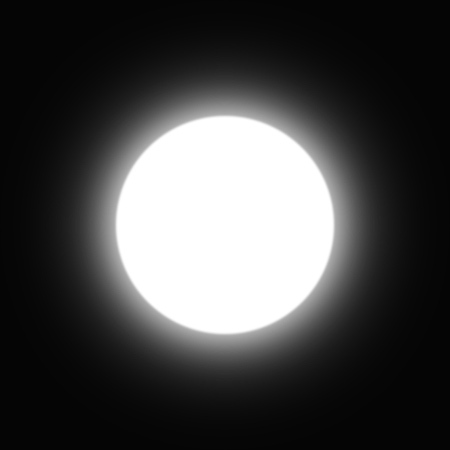 Description: See everything, in total darkness, with both hands free. The I-Sight is one of the coolest, must-have tools you won't want to be without. The overdriven, super-bright Nichia LED module features a parabolic reflector and precision focusing lens to provide a phenomenally bright and uniform beam pattern, with no hotspots - just pure and even lighting. I-Sight's adjustable ear loop and lamp housing allow use with or without glasses on left or right ears. Weighing a scant 18 grams, and featuring a useable runtime of over 36 hours, I-Sight illuminates your field of vision, with no distracting side flare. 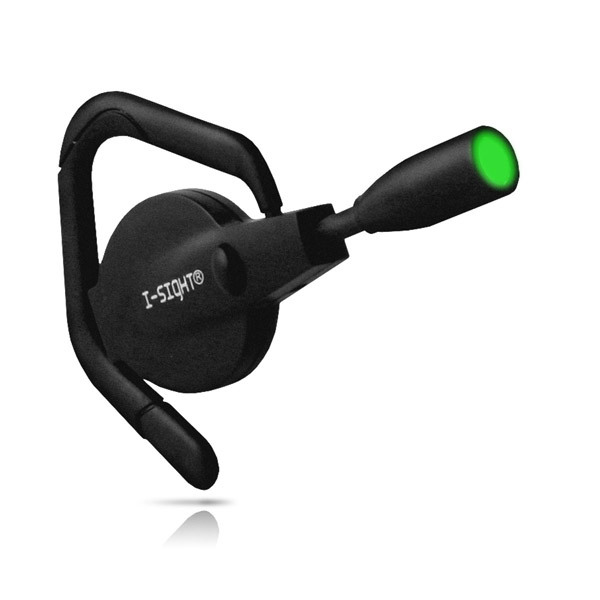 Easily lights anything and everything you look at, while keeping both hands free. I-Sight includes Lithium batteries, which will last for months to years when used 2-3 hours per day! Unit features an easy to operate on/off button for the ultimate in convenience. Great for astronomers, photographers, mechanics, engineers, electricians, plumbers, backpackers, campers, law enforcement and others. I-Sight is available in green illumination for situations when dark vision needs to be maintained. Affixes to right or left ear; compatible with eyeglasses, Bluetooth headsets, hats, caps, helmets, etc. Phenomenal brightness and extraordinary battery life. Adjustable and ambidextrous soft-finished ear loop. Long-lasting, user-replaceable batteries - Lithium cells included. Peacefully coexists with eyeglasses, BT headsets, helmets, etc. Works under water - unaffected by heat or cold.